In Jennifer, estate caretaker Ida Lupino begins to suspect that something nefarious has happened to the previous resident and that local grocer Howard Duff may be involved. A plot mind, is curiously rare, and does secure for its owner a kind of immortality. By that I mean that long after the writer is dead, the books go on being reprinted. The Diary Review looks at some diary entries of author Marie Belloc Lowndes (1868–1947), including her explanation of the genesis of and reaction to The Lodger (serialized in 1911, published in book form in 1913). Said Lowndes, "When The Lodger was published, I did not receive a single favourable review." I Wake Up Screaming (1941). 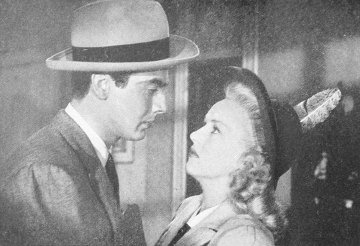 In I Wake Up Screaming, is Victor Mature guilty of the murder of Carole Landis? Costars include Betty Grable, Laird Cregar, William Gargan, and Alan Mowbray. The film is based on the novel of the same name by Steve Fisher. 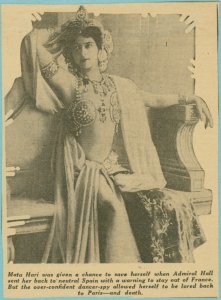 The Fries Museum in the Netherlands features its notorious native daughter Margaretha Zelle (aka Mata Hari, 1876–1917) in the exhibition "Mata Hari: The Myth and the Maiden," on view until April 2, 2018. 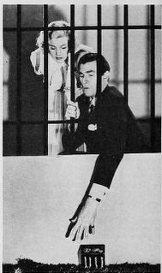 Murders on an airline flight involve fifth-column conspiracies for passenger and detective Nick Carter (Walter Pidgeon). The supporting cast includes Donald Meek, Tom Conway, and Chill Wills. 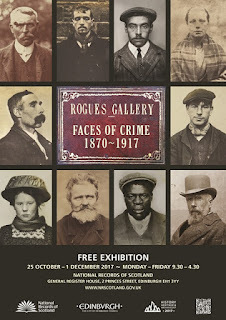 "Rogues Gallery—Faces of Crime 1870–1917." 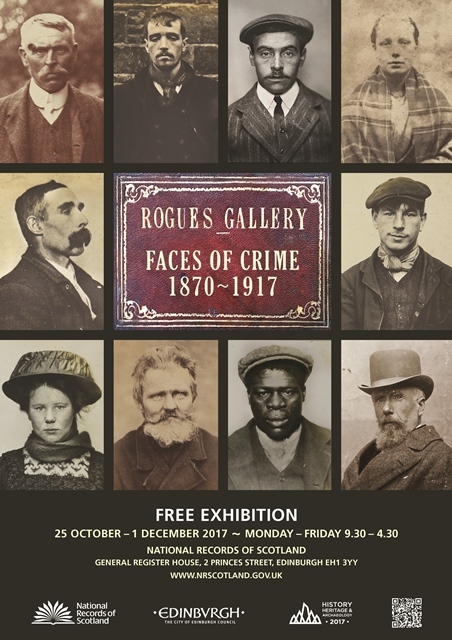 The exhibition "Rogues Gallery: Faces of Crime 1870–1917" is on view until December 1 at Edinburgh's General Register House. It provides a look at early Scottish mugshots and related crime documentation, including items pertaining to the real-life counterpart of Robert Louis Stevenson's Dr. Jekyll. 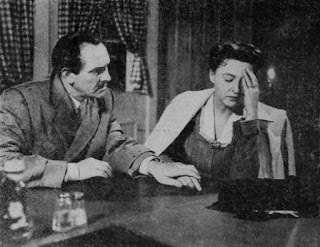 An Act of Murder (1948). When the wife (Florence Eldridge) of a judge (Eldridge's real-life husband Frederic Marsh) is diagnosed with an incurable illness, the judge makes a difficult decision. Costars include Edmond O'Brien and Geraldine Brooks. The film is based on Ernst Lothar's The Mills of God (1935). Edgar Allan Poe, book reviewer. 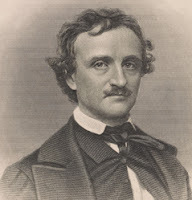 In Humanities Magazine, journalist Mark Athitakis examines Edgar Allan Poe's role as harsh book reviewer, although Poe managed to nab a gig reviewing his own works (which, perhaps unsurprisingly, he rated as those of "high genius").